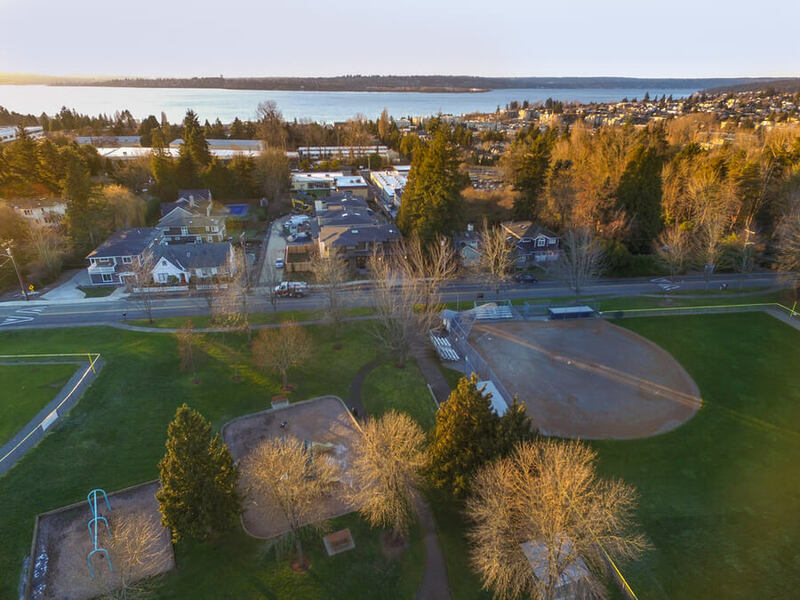 Fairfax Behavioral Health is located in the city of Kirkland, Washington and has been in service for more than 80 years. Since its beginning, the facility has been adept at treating men and women, both adults and adolescents, suffering from mental health disorders ranging from depression, bipolar disorder, and schizophrenia to PTSD as well as substance abuse issues. The hospital aims to help individuals achieve both mental and physical stabilization so as to return them back to their communities and families. This is achieved by addressing the needs of each individual patient—emotional, social, behavioral, or cognitive. The hospital engages patients in assessments (usually lasting up to 45 minutes) and screening by a competent Mental Health Professional (MHP) which helps to identify the overall emotional and physical state of the individual. The programs offered are tailored to meet the specific needs of each individual and are structured to identify treatment problems and teach functional coping skills. These programs are additionally designed to identify the individual weaknesses and strengths of each patient. The facility boasts of a diverse and multidisciplinary staff at Fairfax consisting of recreational therapists, mental health therapists at masters-level and nurses. The center also has a partial hospitalization program, adolescent and adult inpatient treatment programs. Fairfax Behavioral Health is capable of housing a maximum of 157 individuals in its Kirkland facility while its branch at Everett, Washington has 30-patient housing capability. Patients who are in the co-occurring disorder program will live in a unit of mixed genders with about 20-30 people. Private rooms are not available at the facility but patients seldom times get lucky and have a room to themselves for a night or more. Individuals are usually required to share a room and bathroom with one or two people. Patients admitted to the inpatient treatment program are usually required to bring clothing that will last for no more than 3 days. For this reason, laundry services are not available at the hospital. These may include sweatshirts, sweaters, and jackets without hoods or stings and comfortable shoes or slippers. Revealing clothes, shoelaces, glass containers, electronic devices, and clothing with inappropriate logos are some of the items banned in the facility. Healthy snacks are provided by the hospital and meals are served three times a day in the hospital cafeteria but patients observing detox can be served their food in their own units. Patients are to inquire about access codes so as to pass the information on to family and friends in order to allow them access for visitation and phone call sessions. In this stage of treatment, teenagers who may be struggling with suicidal thoughts, truancy, and self-harm habits are admitted for treatment in a safe and comfortable setting under the care of experienced and compassionate professionals. In this treatment program, adults may be treated for deteriorating mental health, emotional and anxiety disorders, co-occurring disorders and a host of other issues. The hospitals’ Partial Hospitalization Program has two distinct programs which are designed for teenagers between the ages of 13-17and adults 18 and older. This program focuses on individuals dealing with acute psychiatric disorders and allows patients to return home after receiving care. It also acts as a transitional period from inpatient care. Fairfax Hospital costs approximately $450 for 7days. Insurance submitted will be reviewed for verification before admission into the hospital or while already admitted. After payments are billed to the insurance company, the rest is billed to the client’s private account and must be made between 30 days of admission. Professionals and Financial Counselors are available to answer any financial questions the client might have. The hospital accepts most HMO (Health Maintenance Organization) and PPO (Preferred Provider Organization) insurances. However, Medicaid insurance for adults and adolescents and Medicare for adults are accepted. If insurance is not available, self-payments can be made. Visitors are allowed into the facility for about 45 minutes to 1 hour daily, but minors are only allowed on Fridays. Visitors are not allowed at the facility during the flu season, and a form of identification must be shown to the reception before admission into the hospitals is accepted. Visitors allowed into the Adult unit must be over 18 and if they’re not, they must be accompanied by a guardian, and only a maximum of two is allowed at a time. Group sessions for both Adult and Adolescents partial hospitalization program include psycho-education, art therapy, meditation, music, and many more. Professional Masters and Ph.D. level nurses and therapists are in charge of the group sessions and other programs offered by the hospital. Samir is certified with General and Geriatric Psychiatry and went to Alexandria School of Medicine, Egypt. He is also a member of different reputable associations such as The American Psychiatric Association and The American Association of Geriatric Psychiatry. His interests include jogging, traveling, and camping. He had his residency at the New York Medical College, Richmond Program as the Resident Physician in the Psychiatry Department. Jeff is certified with General Psychiatry and got his Doctor-Of­-Medicine from the University of Shanghai Jiaotong, his Masters-of-Science from the University of Fudan in Shanghai and Ph.D. from the University of Alabama, majoring in Neuroscience. He is also a member of different reputable boards such as The Society of Neuroscience, The American Association of Immunologists, and many more. His hobbies include Cooking and Traveling. Mustapha is certified to be a registered nurse and as a Mental Health Nurse Practitioner and Family Psychiatric. He has his Doctor-of-Nursing Practice from Washington University, Seattle and his Masters-of-Science in Nursing from the University of Seattle. His residency and training are in the American Lake VA Hospital. He is also a member of different associations such as Sigma Theta Tau Honor Society of Nursing, The Neuroscience Education Institute, and The Association of Advanced Practice Psychiatric Nurses.